Shotguns > Benelli M2 Performance Shop 3-Gun '16 - 12GA 24"
Multi-gun and tactical shotgun competitions push firearms to their limits demanding the highest level of reliability and solid functional design out of a shotgun. 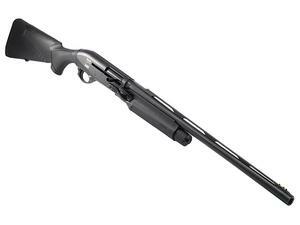 For 2016, Benelli has updated its popular Performance Shop M2 3-Gun Edition with a redesigned loading port to allow for greater efficiency when quad loading, an XS express rear sight for slug accuracy and a port caddy for a spare shell. Benelli's M2 has a stellar reputation as the shotgun of choice for serious 3-Gun competitors, the ultimate tactical competition gun that's simply perfect.